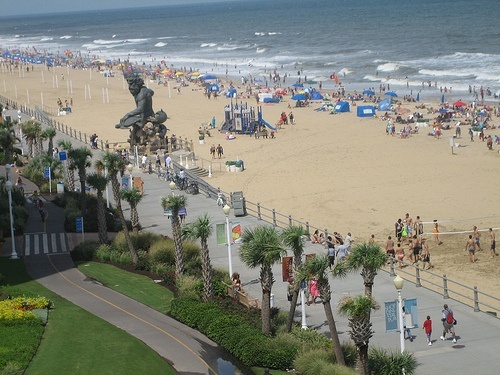 6 Top Beach Boardwalks in the U.S. In honor of summer, we’re taking a look at a few places that are hard not to love. They’re packed with kiosks selling tasty confections, restaurants serving up seafood and French fries, roller coasters, carnival-style games and attractions and, really, just a whole lot of fun. 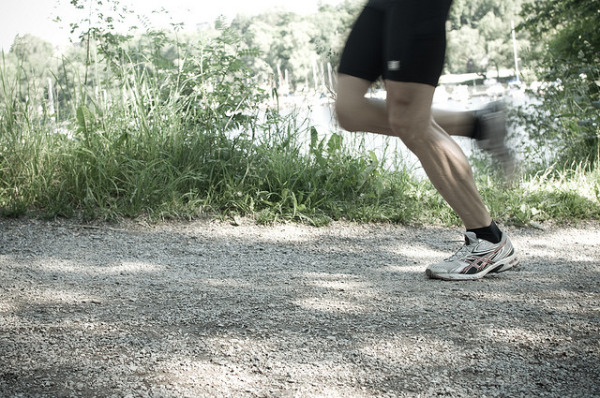 If you are a designer with experience in trails, you’ve probably heard plenty of the following terms outside of the common “multi-use trail,” including: multi-use path, bike path, bike trail, walkway, pathway, byway, greenway, linear park, dirtway, access trail, and more! The timber vs. concrete boardwalk debate has picked up over the last couple of years with large, public beach boardwalks like Long Beach and Rockaways, NY drawing a lot of attention. For a time, wooden boardwalks were most widely used, becoming beloved and iconic in places like Coney Island. After Hurricane Sandy, the term “concrete boardwalk” started becoming more popular as owners and designers discussed boardwalk reconstruction efforts in city council meetings and local news channels. Some joined Mayor Bloomberg by citing concrete’s durability and lack of required maintenance, while wood boardwalk advocates expressed their concerns that the famous wood structures would become “concrete beach sidewalks” that would chip and crack like they saw in streets and parking lots. 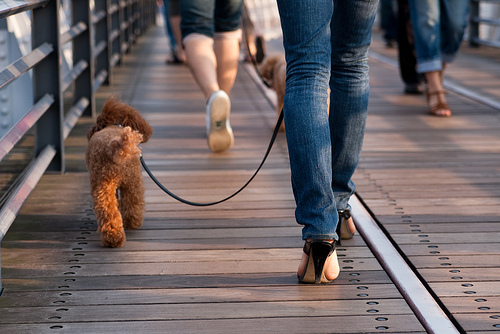 Why would a “concrete boardwalk” be any different? Choosing the proper boardwalk material to suit your project’s design requirements is key to providing a long-term infrastructure asset and ensuring a happy client. 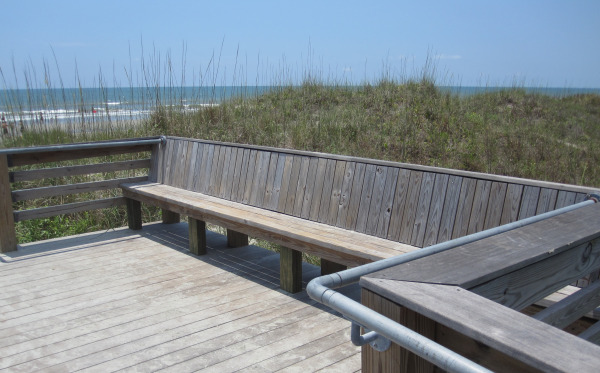 In this article we will point out several key factors to consider when evaluating commercial grade boardwalk materials. 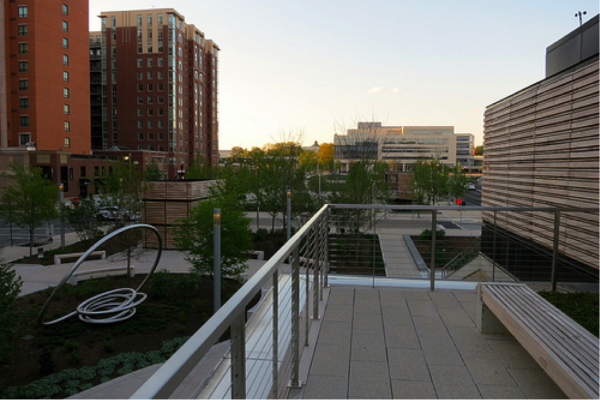 Trails are quickly becoming a coveted amenity in urban spaces. No longer are trails sidelined to distant national parks and obscure, secluded spaces. They’re becoming an important part of our greenspaces throughout towns and cities. 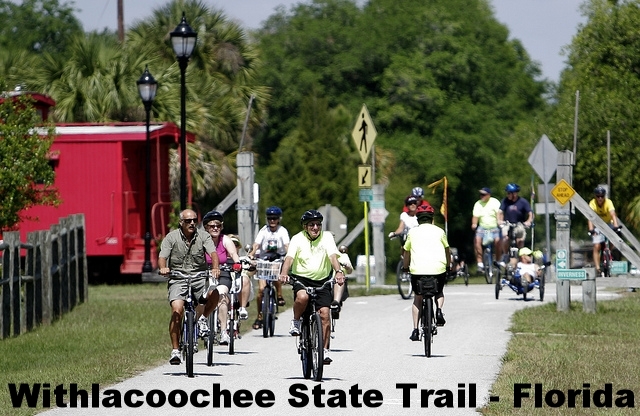 Trails promote physical activity and alternative transportation through biking, running or walking. 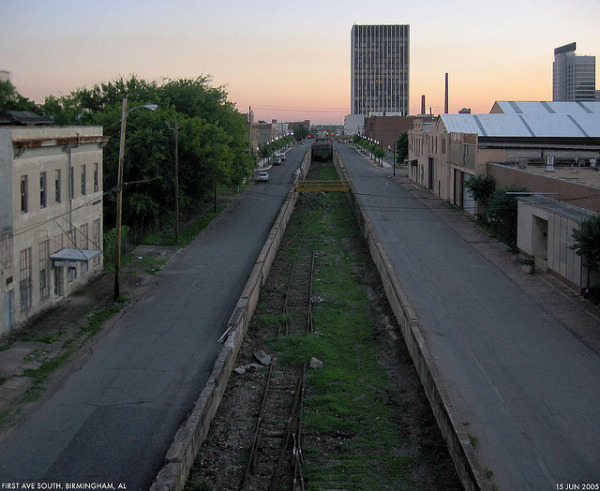 The expansion of greenways and trail systems has been an exciting movement within the United States. Greenspaces have proven to be vital to the revitalization of cities by promoting healthier lifestyles, encouraging economic growth and facilitating environmentally friendly developments. The cities listed below have made a priority of improving their communities with trails, parks and greenspaces. In doing so, they’ve set precedents and shared best practices for other cities, counties or agencies to follow. 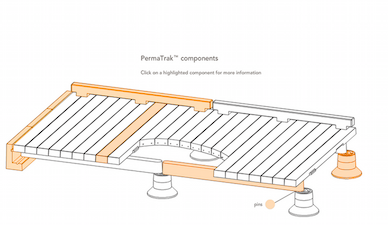 Back in early 2010, PermaTrak made an East Coast Road Tour through 15 cities to introduce a concrete boardwalk system to the United States. Concluding in Florida, some of the designers from the Sunshine State actually took off their socks and shoes to test how hot a concrete boardwalk material really is. Why would a working professional take off their socks and shoes in front of everyone like that? Because signs like this one actually exist! 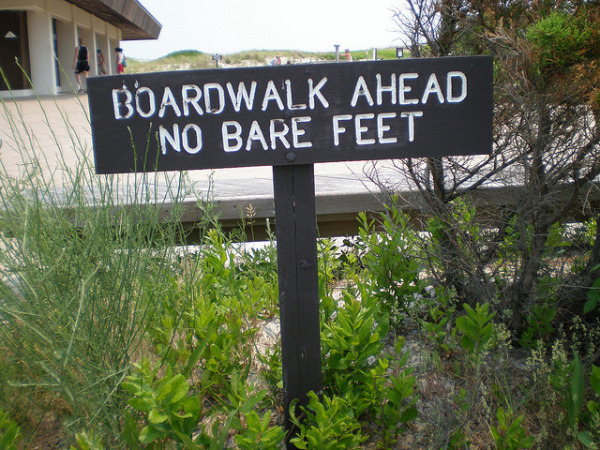 During a recent lunch and learn presentation, I was asked by an engineer about the walking surface of our boardwalk system, but this question was a bit different than I was used to hearing. “Have you ever had problems with women’s high heels getting stuck in the gaps?” he asked. His coworkers pointed and laughed and asked why he, of all people, would be asking that question.